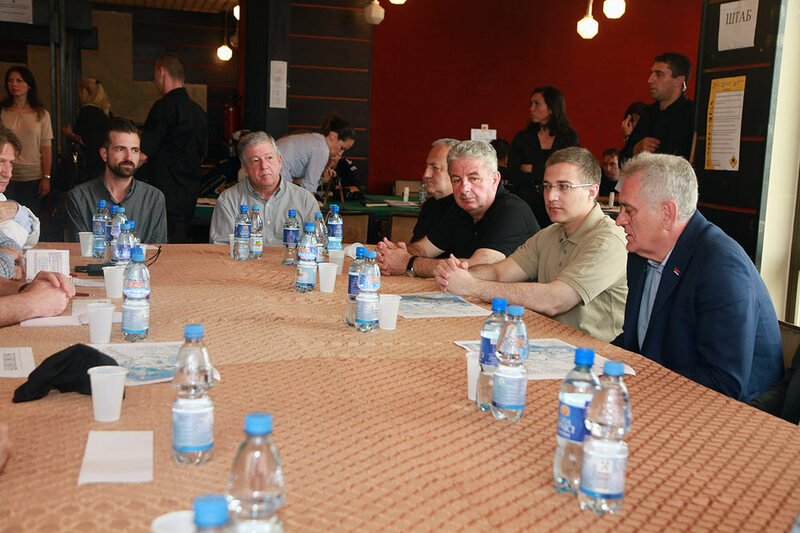 Their Royal Highnesses Crown Prince Alexander II, Crown Princess Katherine and Hereditary Prince Peter visited Obrenovac this morning, and attended a session of Emergency Committee in this city, together with HE Mr Tomislav Nikolic, President of Serbia with his wife Mrs Dragica Nikolic, HE Mr Nebojsa Stefanovic, Minister of the Interior, Mr Milorad Veljovic, director of Police, Mr Predrag Maric, Assistant Minister of the Interior and Head of the sector for Emergency and local authorities. 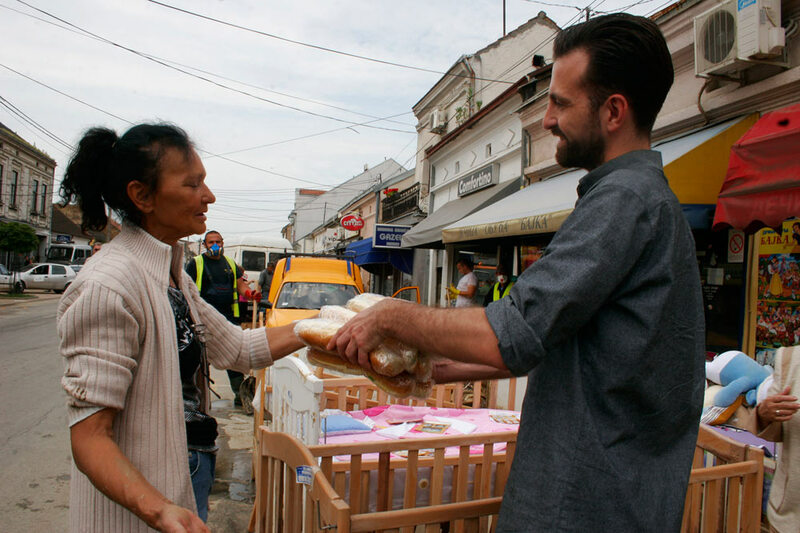 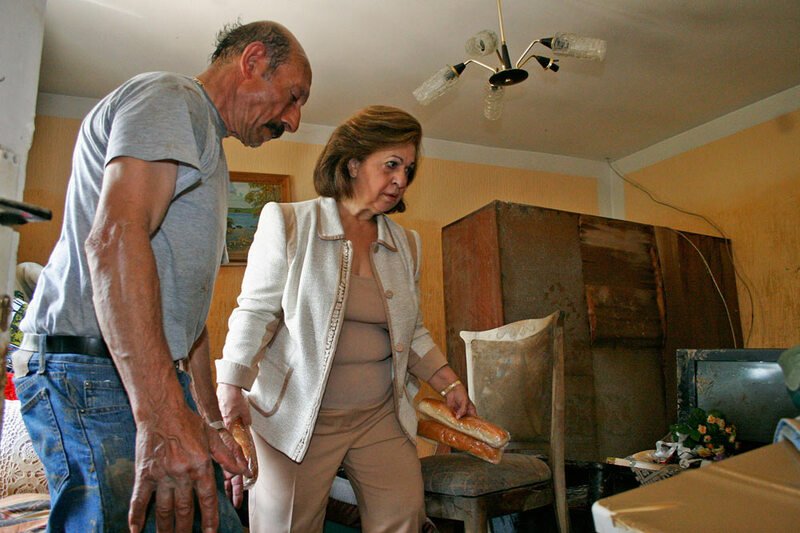 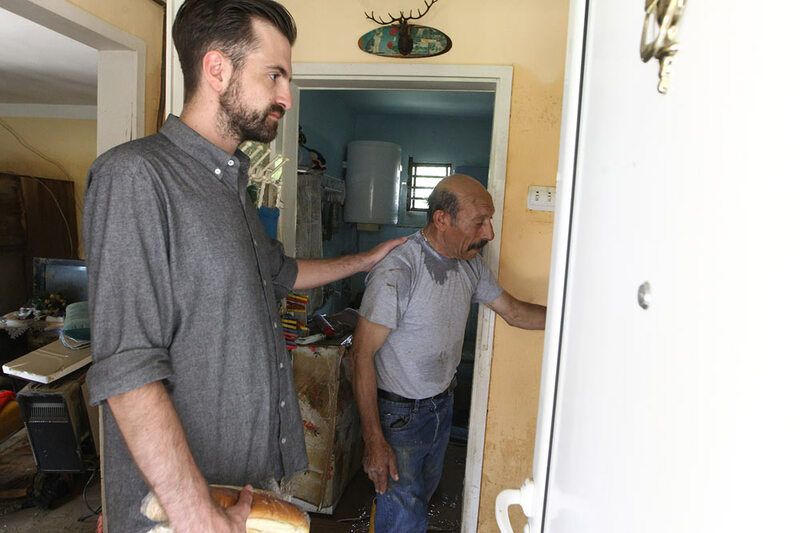 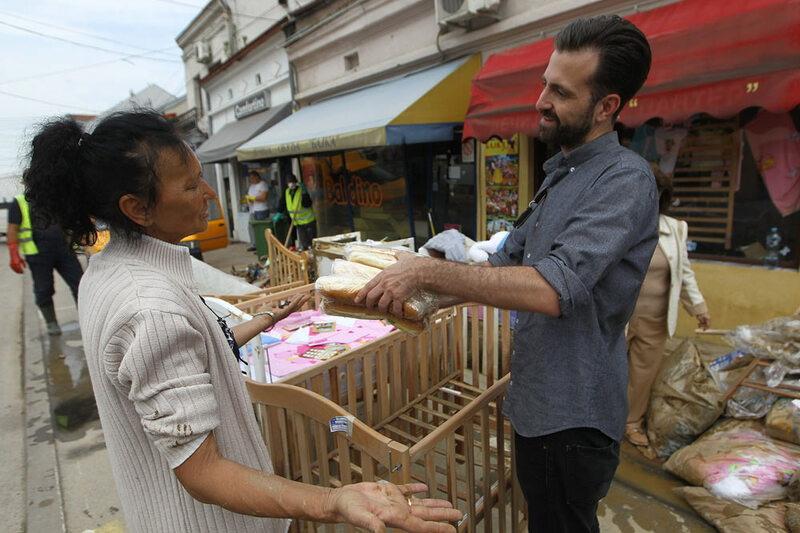 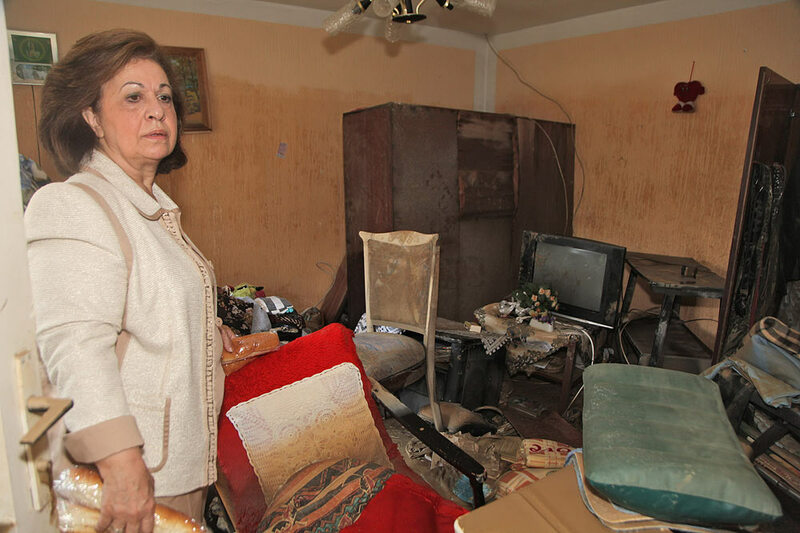 The Royal Family has brought food, water and fruit for residents of Obrenovac. 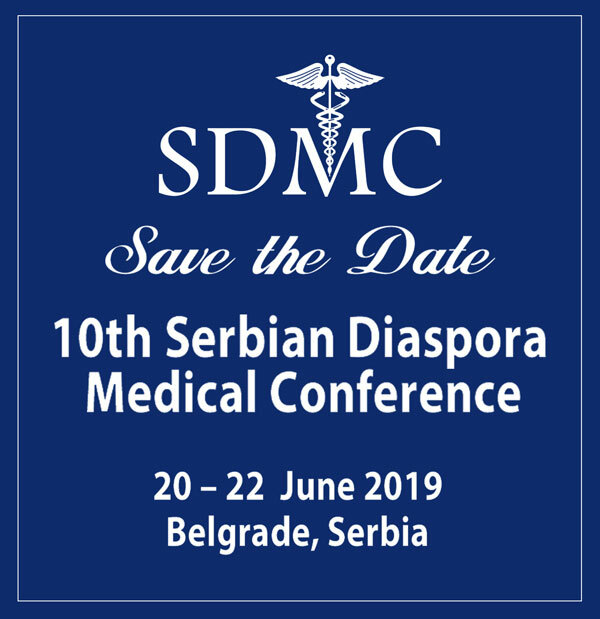 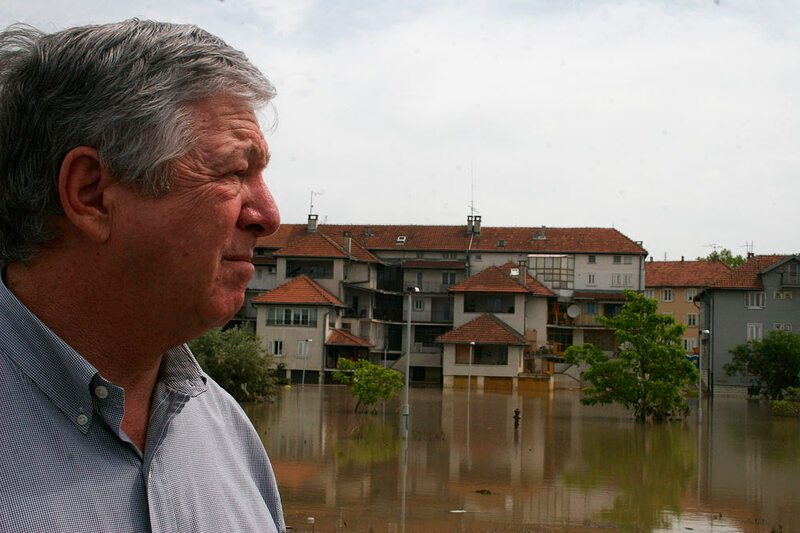 Their Royal Highnesses congratulated state authorities, citizens of Obrenovac and volunteers from all over Serbia who saved thousands of lives and prevented even more disastrous catastrophe with their efforts and heroism. 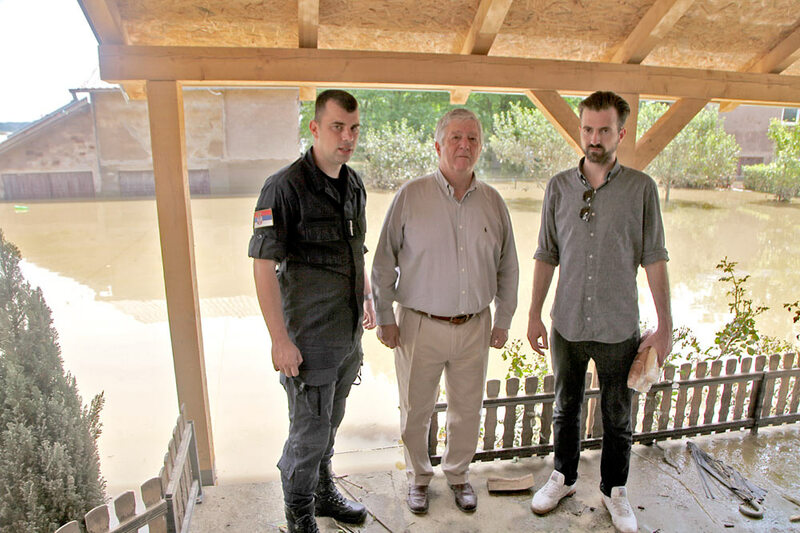 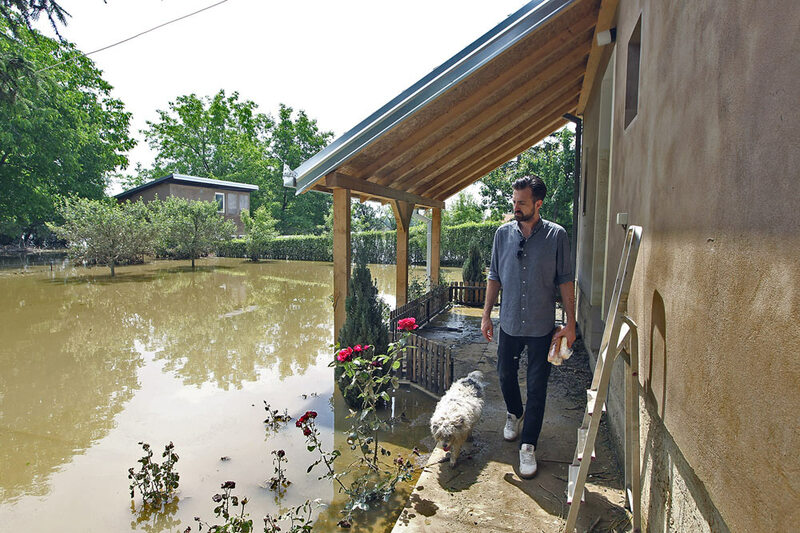 HRH Hereditary Prince Peter was deeply moved by the extent of devastation but also very proud of the citizens of Obrenovac and rescue teams he met in the city. 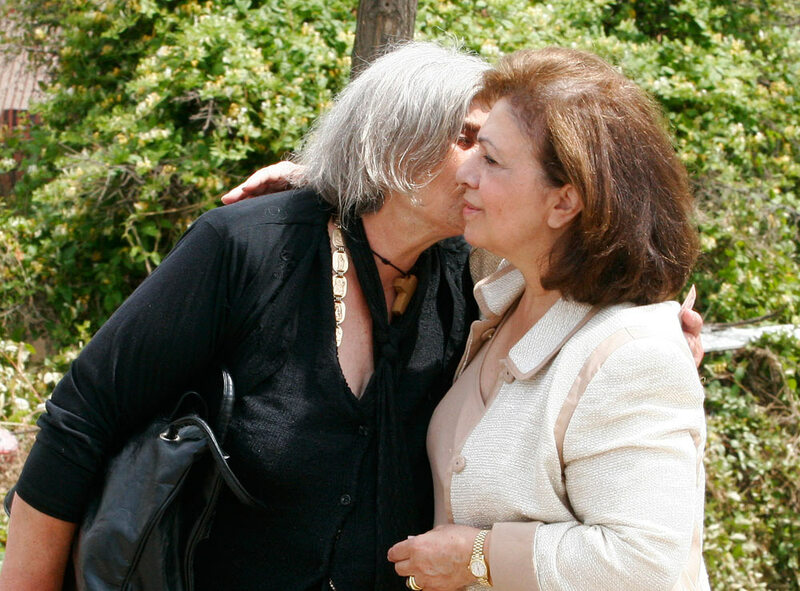 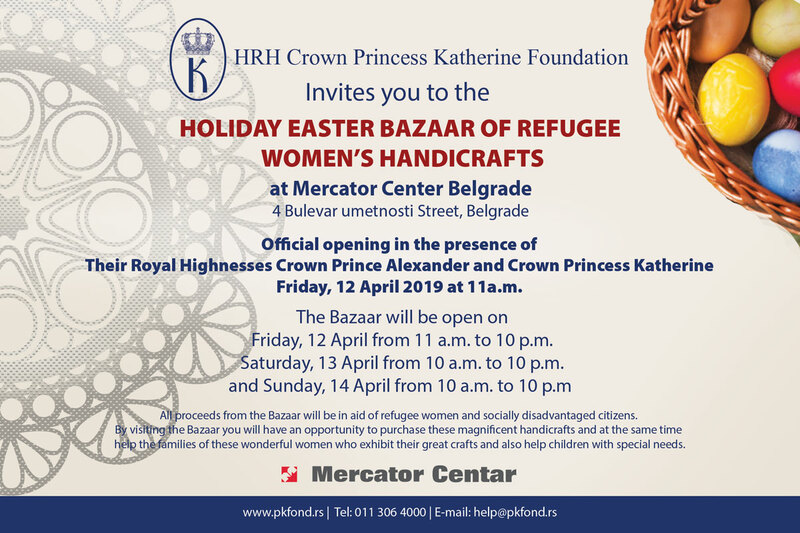 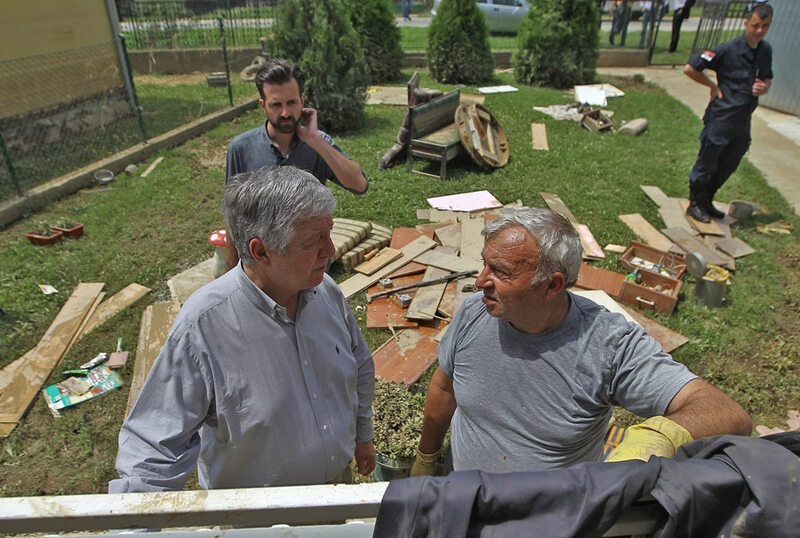 Their Royal Highnesses went through all parts of Obrenovac and spoke to many people there about what they need the most. 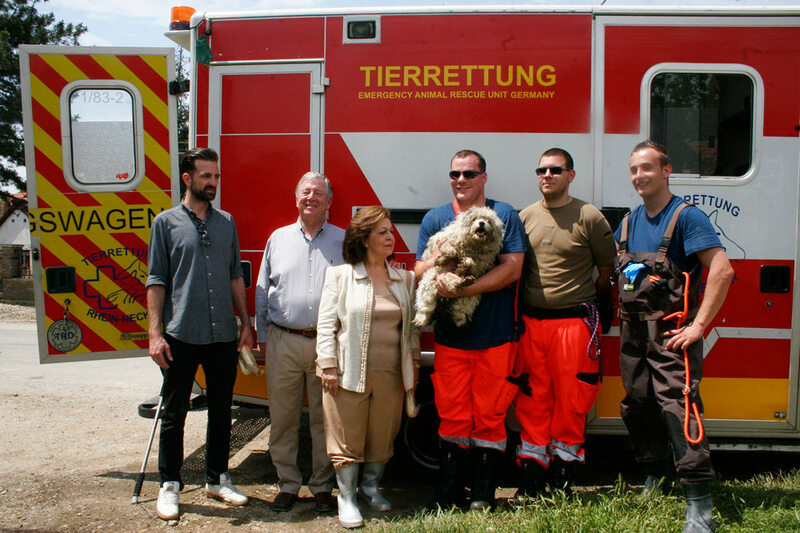 They spoke with rescuers from the German organisation “Tierrettung” that came to Serbia as volunteers to help in rescuing animals and pets, after an appeal of Sanja Pavicevic from Belgrade who organized a campaign on social networks for emergency aid to Serbia.